Hi! So with Halloween coming up and the city turning into the Hallowed City I figured I better get moving on my Halloween decorations. 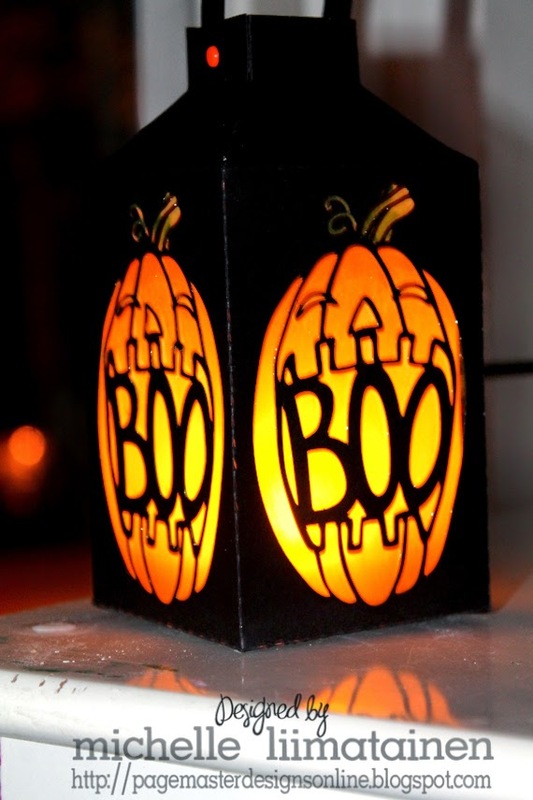 If you are new to my blog, I live in Salem, MA.. We are the Halloween Capital of the World and life is crazy around here until November 2nd when all goes back to normal again. I try to fight the Halloween madness but my kids have been hounding me. They LOVE Halloween....what kid doesn't? I have so much more space to decorate for holiday's in the new house. While I think we are building a graveyard in the front yard this year I have decided to start small on my mud porch. I made this little sucker in less than an hour! I love projects like that! All thanks to my Silhouette and this little file by Jennifer Wambach. I cut the box out of black cardstock and then I cut 4 panels of vellum and placed those underneath the pumpkins. I took my Copics and colored them and added some Wink of Stella to them. I left the bottom piece off of it so I could put a little light under it and light it up at night. So simple, so cute. I think I need to make more with different things in place of the pumpkin. 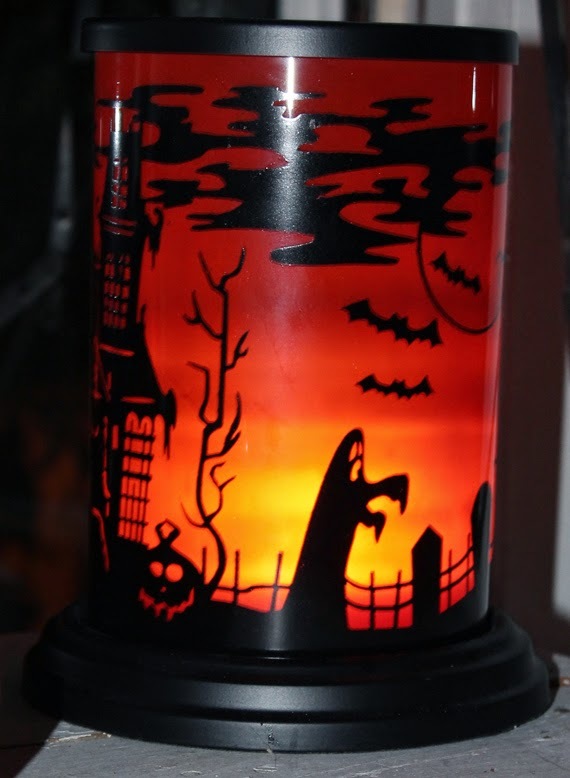 I also wanted to share this cool candle base I bought at Michael's last week. It was 50% off with another 25% off at the register. You can't beat that!